Early this month, FDA issued a request for public comment on use of the term “natural” in the labeling of all human food products. This was in direct response to consumer petitions. According to FDA, the agency has a longstanding policy concerning the use of the term natural in human food labeling. The FDA has considered the term to mean that nothing artificial or synthetic (including all color additives, regardless of source) has been included in, or has been added to, a food that would not normally be expected to be in that food. However, this policy was not intended to address food production methods, such as the use of pesticides, nor did it explicitly address food processing or manufacturing methods, such as thermal technologies, pasteurization or irradiation. The agency also did not consider whether the term should describe any nutritional or other health benefit. Indeed, there’s a lot of confusion among consumers. The Organic & Natural Health Association recently released the results of a consumer research study conducted as a first step in its initiative to set the standard for the term natural. The online research study of 1,005 U.S. consumers was conducted by Natural Marketing Institute and found that one in three consumers do not make a quality distinction between the terms natural and organic and/or government regulation for products with such labels. Other findings from the study confirmed more confusion in the marketplace with the term natural. Common misconceptions include the belief that most vitamins come from natural sources and that natural means no pesticides are used. And while three-fourths of consumers perceive that organic foods must be at least 95% free from synthetic additives, almost two-thirds of consumers expect the same standard from natural foods. Further, approximately half of the consumers surveyed believe that natural means the product is free of synthetic pesticides and are non-GMO, attributes that are unique characteristics of organic products. With 46% of consumers surveyed believing that the U.S. government regulates the term natural, the study concluded that the organic industry should improve education for consumers regarding the differing attributes of organic and natural in order to elevate the status of organic. Furthermore, manufacturers producing natural products need to continue to clarify the meaning of natural so the term does not become diluted and lose significance among consumers. In the research study, consumers indicated that they were more likely to use natural than organic foods; in fact, 60% reported using organic less than once a week or not at all with more than a third using natural once a day or more. The association’s next step is to develop a voluntary regulatory compliance and certification program for the term natural to be released during the first half of 2016, in conjunction with a consumer education campaign supporting transparency of product purchases. To view results from the complete study, “Consumer Insights on Organic and Natural,” link HERE. In general, artificial colorings are manufactured from petroleum-based raw materials. Colors exempt from certification are obtained from a variety of sources, including plants, minerals, insects and fermentation, resources considered by many to be natural. How much do Americans really care about what goes into their food? Instantly polled more than 4,200 consumers about their feelings on artificial ingredients, all-natural alternatives and the companies that make consumer packaged goods. Check out the infographic to see the findings. 72% of consumers consult labels before making a purchase. 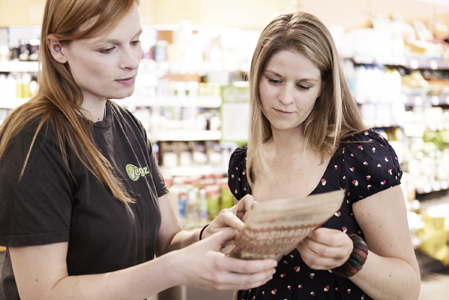 75% say removing artificial ingredients would make them more likely to purchase a product. 75% of consumers trust smaller companies more when it comes to all-natural products. Without a doubt, the clean-eating movement is driving product developers to a back-to-basics approach to sourcing ingredients and formulating new products. Innova Market Insights’ recent release of its Top-10 Trends for 2016 has been all over food business news this week, so I won’t get into too much detail here. But in a nut shell, new global products tracked with an “organic” claim have risen from 6.3% in the first half of 2013 to 9.5% in the first half of 2015. A surge in “free from” launches and “flexitarian” options has also been reported. Innova will be conducting a live webinar on the Top-10 Trends for 2016 on November 24. For more information and to register for this free event, link HERE. Interest in a return to food processing the natural or old-fashioned way, along with a search for permissible indulgence and the re-establishment of links to “real” food is growing stronger. Clear label established itself as a key trend in 2015, with greater transparency and the focus on simpler products with fewer artificial additives taking clean label to the next level. The biggest surge in new product development has been reported in organic products, indicating that this will be a key platform going forward in the short term, although the challenges involved may result in more beneficial platforms for clear label in the longer term. The organic movement has always been strong in dairy, in particular in fluid milk, albeit still a relatively small piece of the pie. Organic milk represents only about 5% share of all retail fluid milk sales. Some recent regulatory rulings and queries will likely drive consumer demand for organic foods. Of course, a completely organic food supply chain is not possible…or at least not in this lifetime. Here’s what’s going on. Based on sound science and a comprehensive review, FDA is taking several important steps regarding food from genetically engineered (GE) plants and animals, including the first approval for a genetically engineered animal intended for food, AquAdvantage Salmon. The agency has also issued guidance for manufacturers who wish to voluntarily label their products as containing ingredients from GE or non-GE sources. First the salmon…it is an Atlantic salmon that reaches market size more quickly than non-GE farm-raised Atlantic salmon. It is the first genetically engineered food animal approved for sale in the U.S. Genetically modified fruits and vegetables have been sold for more than 20 years. Interestingly, the salmon is not legally required to be labeled as genetically engineered, as there is no material difference when compared to conventionally farmed salmon. The way for consumers adverse to GE foods to avoid this salmon is to purchase organic salmon or salmon labeled as non-GMO. For more information, link HERE. Why does this matter to dairy processors? Because consumers are only going to become increasingly more discerning when foods like this enter the marketplace. Dairy processors need to be transparent and communicate to consumers a product’s naturalness. That brings me to beef. This week I had the opportunity to sample a new beef line. Chicago-based PRE Brands is delivering what it describes as a superior beef experience with the launch of PRE 100% Grass Fed Beef. 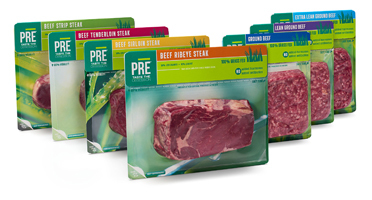 The new line of steak and ground beef options focuses on taste, tenderness and juiciness. Starting at the farm and ending with 100% clear packaging, the company is always transparent. The company only sources beef from producers that do not use added antibiotics, added hormones or feedlots. It follows a meticulous selection process, measuring every aspect of the cuts, from marbling to color. The process includes only sourcing from regions recognized as being the best environments possible for raising cattle, as well as from ranchers who ensure proper and ethical health and wellness standards. When it comes to milk and flavored milk, consumers expect these powerhouse beverages to be as close to what Mother Nature intended as possible. This includes, for flavored milks, choice of flavor, color, stabilizer and sweetener. Wholesomeness is clearly communicated by The Farmer’s Cow of Connecticut, which to celebrate its 10th anniversary recently rolled out a new limited-edition product: Holiday Egg Nog. 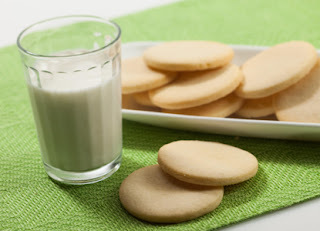 The all-natural egg nog is made with cream, Grade A milk and real egg yolks mixed with cane sugar. It is elegantly packaged in a 32-ounce glass bottle that is perfect for serving on holiday tables or giving as a hostess gift. Clearly, this product is clean and simple. Happy Holidays! 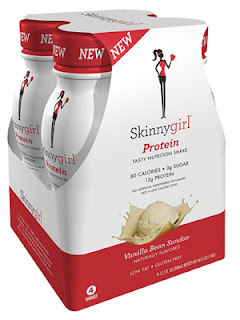 This week’s launch of Skinnygirl Protein Tasty Nutrition Shakes should have many of us thinking about the future of protein beverage innovation. To read more about the product, link HERE. Here’s my take. Protein-centric beverages will continue to boom, but to make a real impact, there will need to be more customization of formulations to target specific demographics. With that said, and sorry Bethenny Frankel, founder and CEO of the Skinnygirl brand, your new product appeals to me (Gen X) and probably young Boomers, but Millennials (18- to 34-year-olds) are not into skinny. They are into fitness. Here’s a flashback. I have been obsessed with food since very early on, mostly the mechanics of food, like why butter builds a better shortbread than vegetable oil and how bread toasts. 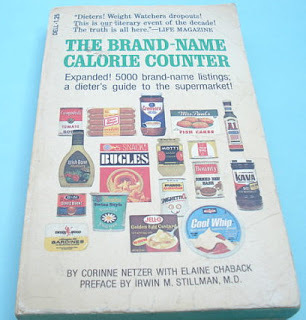 I recall carrying around the 25-cent pocket-sized calorie counter books sold near the supermarket register. Remember those? There were the generic ones and the branded lists. I kept food intake logs and counted calories. I measured and weighed portions. I still remember that one large egg is 80 calories, a cup of skim milk the same. Skinny was an aspiration, albeit not a healthful one. Thankfully, over time, skinny evolved into fit, and that’s where many Millennials are today. The good news for the dairy industry is that dairy proteins are truly one of a handful of all-natural, clean-label, simple and nutritious food ingredients that can deliver what Millennials are looking for. Women do need an easier way to include high-quality protein in their diet. At only 80-calories, each 11.5-ounce shelf-stable Skinnygirl shake provides 12 grams of protein from milk protein concentrate, along with 1.5 grams of fat, 3 grams of fiber and zero grams of sugar. The formulation relies on stevia and monk fruit extract for sweetness. In two-dessert inspired flavors--Rich Chocolate Brownie and Vanilla Bean Sundae—it’s my dream beverage. I’m sure other pocket-calorie-counter Gen Xer’s would agree. But, here’s the deal with Millennials. According to the International Food Information Council (IFIC) Foundation’s 2015 Food and Health Survey published earlier this year, compared to the general U.S. population, Millennials have differing opinions on traditional eating habits, usage of resources and information for staying healthy, and even on the value of some nutrients. Although Millennials view protein favorably and see the importance of protein in their diets, there are still a wide range of misconceptions surrounding protein. For starters, Millennials say the top reasons they don’t consume more protein is the belief that protein foods are sometimes more expensive (37%) and that they already get enough protein (34%). More Millennials (21%) think that foods with protein will spoil if not used quickly, compared to the general population (15%). One in five Millennials believe that higher-protein foods often have a lot of unhealthful components, compared to one in seven of the general population. True or not, these are their perceptions. And let’s look at some facts. Greek yogurt—the higher protein yogurt—does cost more than traditional yogurt. Milk, eggs and meat, traditional sources of protein are highly perishable. Regarding unhealthful components, that could be the cholesterol in eggs and the nitrates in bacon. Dairy foods formulators need to think fit foods, not skinny foods. Dairy proteins are the key to innovation. Keep the product clean and affordable. Beyond turning to alternative sources for trusted information, Millennials are improving their diets in different ways. 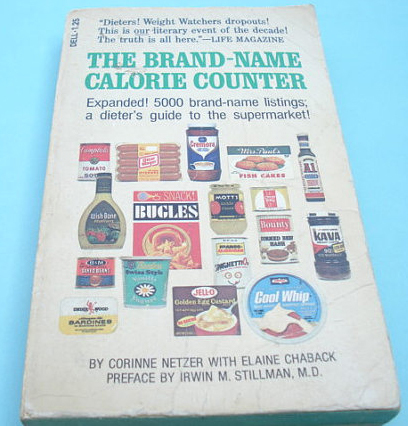 Gone are the days of pocket calorie counters. Millennials are turning to digital resources to improve their diets. Thirty-six percent of Millennials are using an app or other means to track daily food and beverage intake, compared to 22% of the population. Twice as many Millennials (12%) are using an online support group, blog or other online community, compared to the general population (6%). Millennials also have different opinions about nutrition. When asked specifically about calorie sources and weight gain, only 20% of Millennials state that all sources of calories have the same effect on weight gain, compared to 27% of the general population. They are also less focused on limiting or avoiding calories than the general population. Like the general population, Millennials are more concerned about the amount and type of sugars they eat than they are about the type or amount of carbohydrates consumed. Within the Millennial demographic, women and those with higher household incomes are the most concerned. Millennials also agree with the general population that moderate sugar intake can be a part of a healthful diet and believe that there are differences between the healthfulness of naturally occurring and other types of sugars. When it comes to dietary fat, Millennials realize the healthfulness of omega fatty acids but do not fully understand the differences between different types of fats. In fact, 64% of Millennials rate omega-3 fatty acids, a type of polyunsaturated fat, as healthful, yet only 17% of Millennials rate polyunsaturated fats as healthful. Moreover, 42% of Millennials report that they are unaware of the healthfulness of polyunsaturated fats. Here’s one that’s long overdue and a win for dairy. One in three Millennials have recently changed their view on the healthfulness of saturated fat. Of those shifting their opinion of saturated fat in the last year, Millennial men are more likely to view its healthfulness more favorably. Back to the benefits of dairy proteins. Let’s talk specifically about whey proteins. At the recent SupplySide West in Las Vegas, Moises Torres-Gonzalez, director of nutrition research at the National Dairy Council, spoke about opportunities in formulating with whey proteins. In terms of the general population, he explained that recent research indicates 23% of adults are increasing the amount of protein in their daily diets because of the recognized benefits protein provides to the body and the flexibility of protein ingredients to be incorporated into a variety of food and beverages, including dairy foods. Consumers want protein in their meals, snacks and after workouts. When protein’s functionality and nutritional benefits are understood, it can be integrated into products consumers want, he explained. This is where the opportunity lies for whey protein, as whey protein is one of the highest quality proteins and a source of highly functional amino acids and bioactive compounds. Whey offers health benefits to consumers of all ages. At one point in time, whey was considered a byproduct of cheese. Today, cheese is often made for the sole purpose of obtaining whey. This past August at Alpha Summit 2015, which was a whey protein conference held in Jerome, Idaho, sponsored by Davisco, a business unit of Agropur Inc., the quality of the protein in cows milk was a major focal point. To read more highlights from Alpha Summit 2015, link HERE to an article I wrote for Food Business News. Paul Moughan, distinguished professor and director of the Riddet Institute in New Zealand, explained the importance of dietary protein quality in nutrition and health. In 2013, the Food and Agriculture Organization of United Nations recommended that a new, advanced method for assessing the quality of dietary proteins--Digestible Indispensable Amino Acid Score (D.I.A.A.S.) --replace the Protein Digestibility Corrected Amino Acid Score (P.D.C.A.A.S.) as the preferred method of measuring protein quality. He explained that with the P.D.C.A.A.S. method, values are truncated to a maximum score of 1.00, even if scores derived are higher. Using the D.I.A.A.S. method, researchers are now able to differentiate protein sources by their ability to supply amino acids for use by the body. The D.I.A.A.S. method is able to demonstrate the higher bioavailability of dairy proteins when compared to plant-based protein sources. Dr. Moughan did say that even with the D.I.A.A.S. score, you don’t get the whole story about the quality of the protein. “The single score is based on the limiting amino acid in the protein,” he said. For example, the leucine component of alpha-lactalbumin—a type of whey protein--has a D.I.A.A.S. 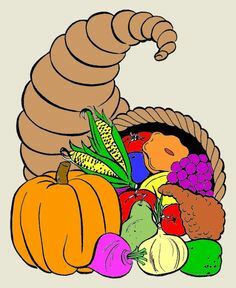 score of 2.00 and the tryptophan component is 5.50. By reporting only the single score of 1.14, which is based on the limiting amino acid valine, the quality of the alpha-lactalbumin is not accurately communicated. For optimum muscle health and function, research suggests that 30 grams of high-quality protein should be consumed at every meal, and preferably proteins high in the essential amino acid leucine. As this information gets better communicated to Millennials, they will be seeking out high-quality protein products to make them lean, mean, fit machines…not skinny girls. Put dairy proteins, especially whey proteins, back into dairy foods. The majority of people, including many in the dairy industry—that’s you—do not realize that almost all of the 1,400-plus natural cheese varieties cataloged in the World Cheese Exchange Database are made with the same four ingredients: milk, cultures, enzymes and salt. That’s what’s listed on the ingredient statement. Of course, it does not take a rocket scientist to figure out that the words “cultures” and “enzymes” are simplified terms for very complex, powerhouse ingredients capable of turning milk into a Brie, a cheddar or a mozzarella. 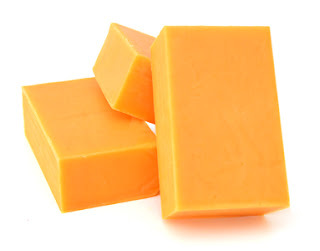 To learn more about the role of cultures and enzymes in cheese product development, please link HERE to an article I recently wrote for Food Business News on this topic. If you missed last week’s blog on innovations in natural and process cheese products, as experienced in person at Anuga 2015, the world’s largest food fair, you can read it by linking HERE. It truly is amazing how three ingredients—cultures, enzymes and salt--can transform milk into so many different cheeses. And with the help of herbs, spices, peppers and other flavorful additions, cheesemakers can create entertaining masterpieces. And entertaining with cheese is the name of the game during the winter holiday season. 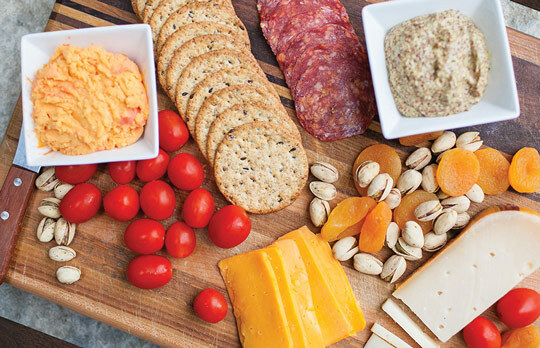 From Thanksgiving to Super Bowl Sunday, cheese is on the menu. It’s that time of year when consumers are often very willing to reach deeper into their pockets and splurge on specialty cheeses. Will your cheese be part of the story? Here’s something to keep in mind. Many of today’s consumers—the millennials--spend more time talking about their food—or taking pictures of it and posting it in social media—than eating it. Cheese makes a great story, and it’s yours to tell. The holidays present an incredible opportunity for cheese marketers to tell stories…and to package and merchandise cheese in holiday-ready formats. The Wisconsin Milk Marketing Board (WMMB) provides tools to assist in communicating and marketing the deliciousness and versatility of cheese. 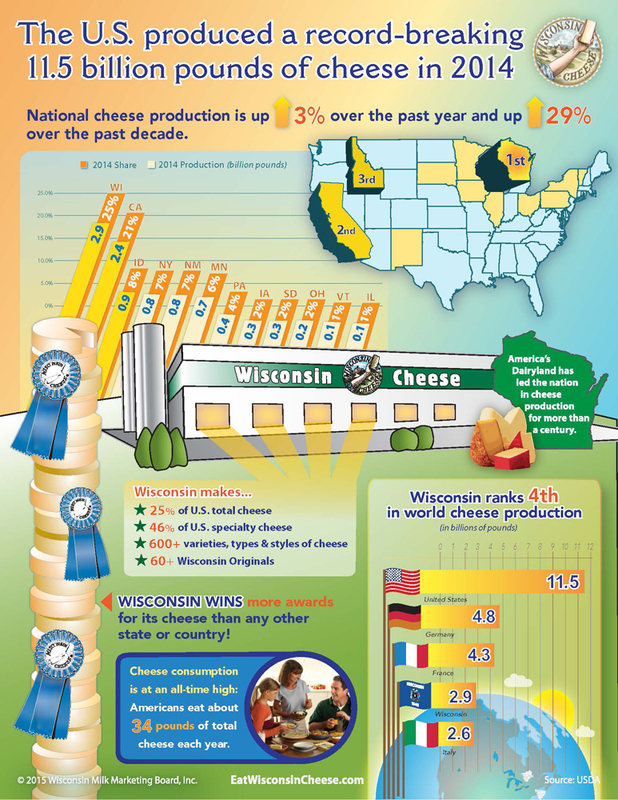 Did you know that Wisconsin offers more than 600 varieties, types and styles of cheese? Cheese can star as an appetizer, an exceptional entrée or a memorable dessert. The possibilities are limitless and always delicious, explains WMMB. Flavored cheese is one of the “hottest” segments right now and represents a growth opportunity for the category. Recent data from IRI show that the U.S. retail flavored cheese market is $1.5 billion. In volume, that’s close to a quarter-billion pounds or 7% of the total cheese category. Year-to-date 2015 data from IRI find flavored cheeses up by 4.5% in volume sales and year-to-date dollar sales of flavored cheeses are up 8.3%. 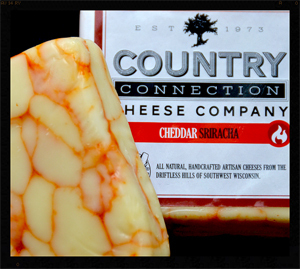 Country Connection Cheese Co., a company known for its flavored and smoked cheeses, does a fabulous job of communicating the premium nature of its products. 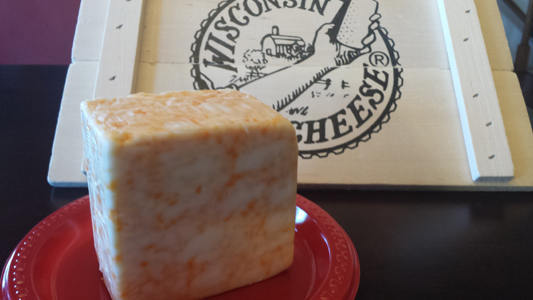 This 40-year-old Wisconsin dairy handcrafts all of its cheeses in small batches. Traditional cheesemaking techniques and attention to detail give each Country Connection cheese a distinctive texture and flavor. 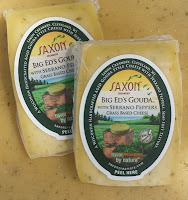 Country Connection doesn’t just toss a handful of a flavorful inclusions, such as bacon pieces, into a vat of curd to make a bacon cheddar. “What we do is combine various natural ingredients and age them in the cheese so that the marriage of taste sensations is complex, harmonious and unique,” according to the company’s website. 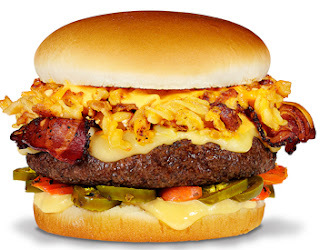 One of the company’s most recent additions is Cheddar Sriracha. Sriracha’s heat is balanced and cooled by the cheese so that even those with a low tolerance for hot spices can enjoy the actual taste of sriracha. For more information, link HERE. Buffalo Wing Monterey Jack has a smooth, creamy texture with the distinct flavor of ever popular Buffalo wings. The cheese is produced by an award-winning Wisconsin Master Cheesemaker. For more information, link HERE. Saxon Creamery Big Ed’s with Serrano Peppers is a rich, young, buttery Gouda style cheese that that brings the heat. Bits of Serrano Peppers deliver a nice warmth that will have you coming back for more. This semi-soft cheese is great on sandwiches and bold enough to stand alone on a cheese platter. The rich milk flavors speak of the lush green pastures where the cows are grazed, the season in which it was made, the particular craftsmanship of the cheesemaker, the time the cheese spends in the aging rooms. For more information, link HERE. Cheesemaker Marieke Penterman crafts her award-winning Gouda cheese using an Old World recipe with fresh milk from the family’s farm in northern Wisconsin. This new addition to the lineup--Marieke Gouda Truffle--is a flavorful variation made with raw cows milk, cultures, enzymes, salt, Italian black truffles and Italian truffle oil. For more information, link HERE. Many of these products, and so many, many more, will be featured in the WMMB booth (4713) at the Winter Fancy Food Show, which takes place in San Francisco January 17 to 19. For more information, link HERE. Hope to see you there. I’ll be the one in the WMMB booth enjoying the magic of milk, cultures, enzymes and salt.